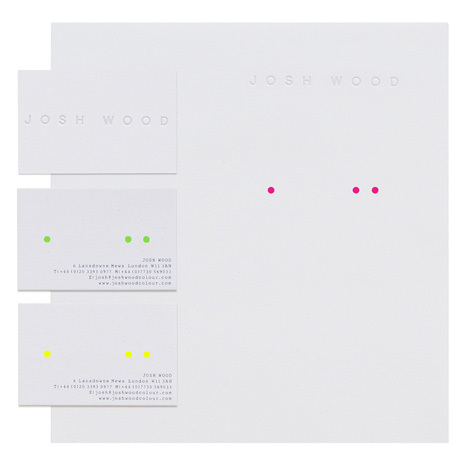 Pearlfisher has created the brand identity for hairdresser Josh Wood ahead of the opening of his Atelier branch in London’s Notting Hill next month. The consultancy says it was appointed earlier this year having been approached directly by Wood on its credentials following a personal introduction. Pearlfisher creative partner Karen Welman, says the design features ‘a simple but stylish master’s signature in muted natural colours punctuated by bright bursts of fluorescent colour’. The identity will be used across printed materials including business cards and stationary. Pearlfisher also created brand guidelines for the identity to be applied across the Atelier’s interiors. The Atelier and all materials showing the branding will launch in September.